They're calling it the 'ultimate laptop.' We tell you why. As if saying it's getting bored of ruling the operating system arena, Microsoft went ahead and did something rather unexpected: unveil its first-ever laptop! Yes, we've all had (or at least used) Windows PCs, but the device we're about to show has the Microsoft gene both in software and hardware. 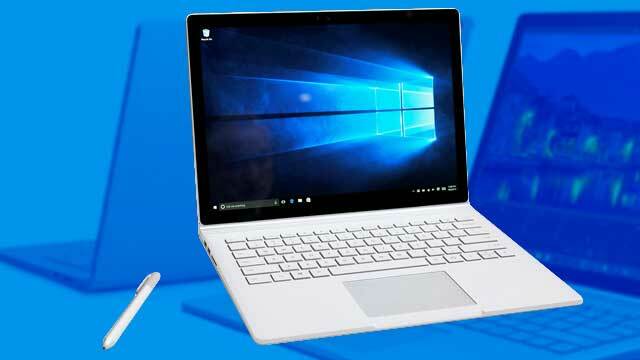 Called the Surface Book, it's built by the Big M itself and is one of the latest additions to the tech titan's popular Surface line of devices (which is primarily composed of tablets). It sure is pretty, but we also have a gut feel that this bad boy has much more than just good looks. In fact, we won't be surprised at all if the Surface Book is the next big thing when it comes to laptops. Sure it looks like just another sleek laptop, but the Surface Book has a dirty little secret: it actually transforms into a tablet! You see, you can easily detach its display and use the touchscreen instead to go about your computing business. Now that's something 99-percent of its kin cannot do! Holy mother of all things techie! Now that's STACKED! Simply put, the Surface Book has the innards to make even its fellow laptops weep in jealousy. Say what you will about it being Microsoft's first foray into laptop territory, but there's something really comforting in knowing a device is made by a company who knows tech. We're thinking there should be lesser Windows-related issues simply because it's made by the same people behind the world's most popular OS. That in itself is already reassuring. Hey, Bill Gates and co. know what they're doing, right? But that's just us. Maybe it will turn out to be a flop. We can't really be too sure. What we do know is this: If Microsoft is able to lower its price (it's set to start at $1,499 or about P70,000) to more masa levels, then it will be truly bad news for other notebook manufacturers. Book it. Note: Philippine pricing and availability are still TBA as of the moment. We'll keep you updated as always.